extremely sad every time I realize that I have been incarcerated longer than I have been free. Yet I was not even free out there; spending most of my teens walking dead in a drug induced coma, unconsciously self-destructing ---- unresolved wounds had me in an emotional and mental prison long before. And before I go any farther, I must say that there was and will never be an excuse for my horrendous act. I take full responsibility, and would never minimize the severity of my crime! 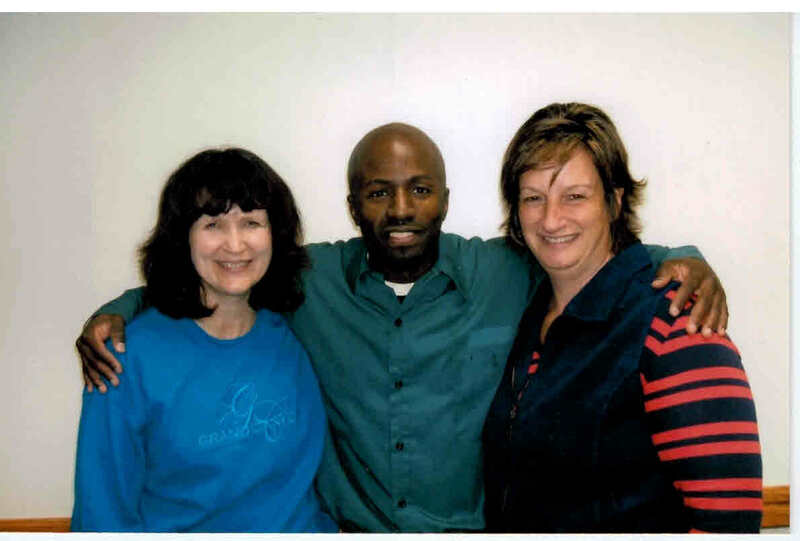 Convicted of first degree intentional homicide, I received a life sentence with parole eligibility in 36 years. 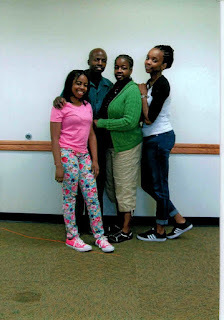 So I will be 55 years old when I am able to receive my very first chance at parole; and at the rate this prison system is going, it would seem that I will be confined long before that first chance at parole in 2031. I can proudly say that .I deserve a more reasonable chance at a second chance! I have long ago changed my life... I am no where near the same boy who came into the system at such a young age. these gates and walls.. .as I act as Love's hands, feet, and voice' As I trust GOD for deliverance, I will continue to be His instru­ment in prison---accomplishing many things all for His glory! Born eleven-nine-seventy six. Before I was conceived I was picked. Chosen to be offspring of an angel's beauty. She sows her seeds into a spiritual destiny. Taught by her heart I'm not of this world. Raised to obey and live by the Father's word. Fearful that I would become a burdensome man in this house that never knew a father. An honor roll student, with NFL dreams, so that I could spoil my mother. Trying my best to be everything she would be proud of. Satisfied with doing everything she asked of. A Mama's boy, nourished by a love that could never be tainted. Heart so big.., soul so special, how could I take her all for granted? Tricked by the enemy into thinking, how could this beauty give this beast birth? Filling my mind with lies that my life is not worth. The bottled up bitterness seem to make my fall worst. A son believing I had a father that hated me. Promising myself to someday ask him why he couldn't love me. Questioning what type of man would I - could I - or should I be? Blinded by confusing pain when all my answers was shot dead by the police. It was like a dark abyss finally possessed my last bit of peace. A good humored, soft spoken youngster, loaded with too much anger and resentment. Creating a self-destructive and gangster temperament. Living a double-minded life.., the untamable TeeBuc to my friends and foes. Everybody's favorite family member and funniest kinfolk. Conformed into just another buck 'wild child from the ghetto. The growing horns on my head replaced the halo, Addicted to smoking weed, promiscuous girls, and living up to the reputation of the thug life. Falling deeper and deeper... from stealing cars, to street brawls, to selling drugs, to gun fights. Unconscious, as my young life flashed before me. Feeling a strong presence while bullets barely missed me. Knowing I was being spared thanks to my maternal saint's fearful prayers. So deep in the game that I didn't even have enough sense to even care. At times aggressively over protective of the ones I loved. A loyalty that got taken advantage of by the same ones I thought had love. Feeding off all the repressed chaos stored up in me. Sending me off to shootout their beefs. Leaving me for dead, they take turns dropping a dime. Now it's out of sight - out of mind. Yet taking full responsibility for getting lost in my own rebellion. Deceived to take a life due to an ego of self-manipulation. Life became so confined I could find no reason to breathe. With no heartbeat the merciful judge plugged me into a lifeline to help ease. Giving me a reason to live on twelve-twenty six-ninety five. Blessing me with a Princess whose love is a supernatural high. At the same time hating myself for becoming another absent father. Missing out on the graceful stages of my growing flower. Forcing her to share the consequences of my reckless past. Failing her is a guilt that refuses to pass. Finding it hard to forgive myself for being the disappointment she was born into. Not only her, but I'm haunted by the other daughter I've brought heartache to. Barely finding sleep inside this caged cell. Growing up in this belly is earth's hell. Reaching out to family that has long disappeared. Broken hearted and abandoned by those who swear they still care. Reopening wounds unresolved issues. Imprisoned constantly still letting my fist vent for my blues. Over and over letting my pride repeat my falling. Locked down still running from my calling. Depression like a ton weighing down on my chest. Questioning my resilience in this life or death test. Choosing life I find myself relying more and more on a father who knows best. With penitence and submission I start to transform into my Lord. Breaking a generational curse so that I could raise my seed into heavenly rewards. With much wisdom my mother's vision renamed me 'FreeMan'. If no one could, the Almighty can. Sentenced to a lifetime of incarceration. Rehabilitated by the Life of Salvation. Today I have enough faith and hope to proclaim this free peace. Doing my Savior's will behind this walled city while he put a date on my early release. This is just the beginning of my Father's plans for me. Using my testimony as a witness to bring Him all praises, all honor, and all glory. Written by Terrell Thomas to Be Continued..
May I introduce you to my good friend, Terrell. I know that you know him - you've known him longer than I have. My name is Carla and Terrell has become one of my most treasured friends. I would love for you to know him as I know him. So please share a journey with me while I tell you who he is for me. I am a white female who used to say about prisoners that we should lock them up and throw away the key. I was arrogant, ignorant and never gave any thought to all of the details in a person's life that might lead them to commit a crime, go to prison and try to maintain a worthwhile existence. I believed in God, but did not have a true relationship with Him. So I also never gave any thought to the power of God's forgiveness and His perfect promise of eternity for ALL. One night, several detectives showed up at my door, looking for my son. I went to find him in his room and he had overdosed on heroine. I watched the paramedics carry his lifeless body to the ambulance. He spent three days and nights in the hospital on life support. 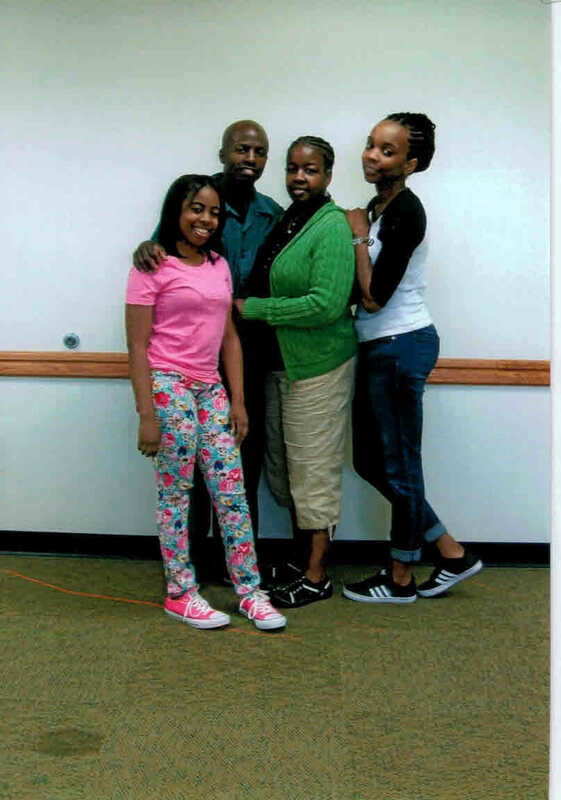 When he was released from the hospital, he was handcuffed and shackled and taken to prison. 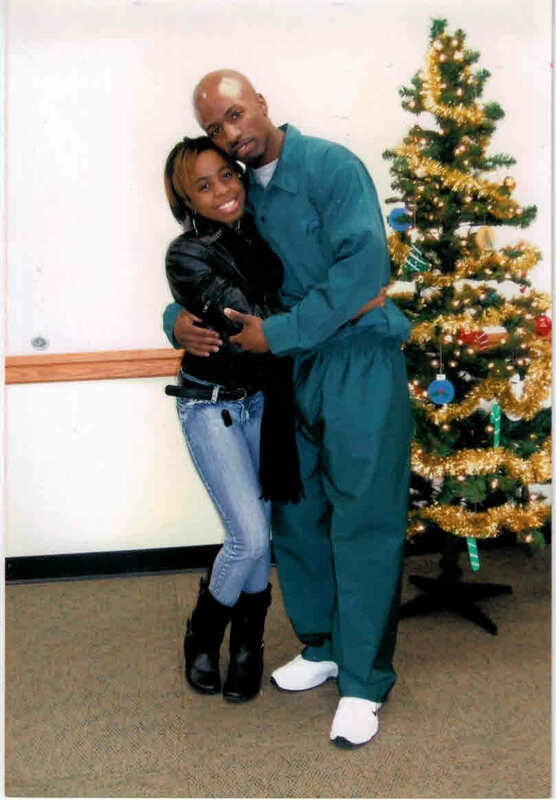 While he was in prison he told me of a good man he met who had lifted him up and supported him. They had become good friends and he had tremendous respect for this man he called Terrell. They worked in the kitchen together at Fox Lake. 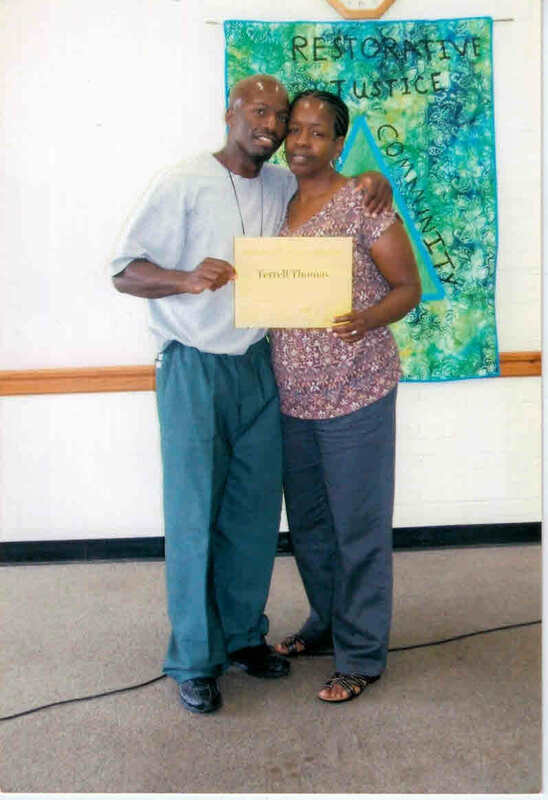 I learned about how Terrell's reputation preceded him. 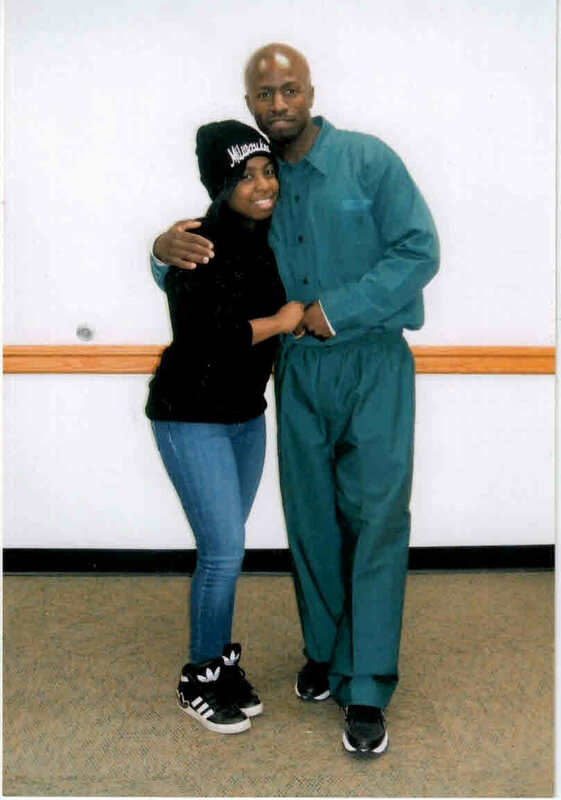 The inmates and the guards knew of him as a peaceful, respectable man who walked with God. He was dependable, hard-working, God-fearing and fiercely loved his family. When my son was transferred to another facility, he still talked about his good friend Terrell and how much he appreciated the friendship and support. During this time, I was learning about the realities of prison and prisoners. I realized that I had been so wrong to assume that prisons are full of bad people. And I was learning that all people - those in prison and those NOT in prison - are imperfect sinners who break laws, hurt other people and need forgiveness. More importantly, I began to understand that God loves all people who come to him, and that includes murderers, rapists, robbers, drug dealers, moms and dads, sons and daughters, and other troubled souls. One day I decided to write to Terrell to thank him for being such a good influence on my son, whom Terrell called his "little brother". I'm sure the letter came as a surprise to Terrell and I did not know how he would feel about receiving a letter from a stranger. What evolved from there has become one of the most meaningful relationships of my life. From the very beginning, it was clear to me what was important to Terrell: His relationship with God and his family. His passion for his daughter and his mother was so powerful. He also deeply loved his brothers and their children. More than any person I know, Terrell has helped me tear down my walls of judgment and love a stranger as only Jesus could do. His ability to find joy in the midst of so many struggles is something that continues to keep me in awe. We had written to each other for possibly 18 months or so, but we had never met. We had talked only once on the phone. We had exchanged stories and pictures of our families. It turns out that I would meet Terrell for the first time on one of the darkest days of his life: the day of his little brother's funeral. He allowed me, a stranger, to sit with him, pray with him, listen to his desperation and share how much he treasured his family. It was in that first greeting with Terrell - in a prison visiting room on a dreadfully painful day - that I am aware that I was in the presence of the Holy Spirit. In a powerful hug between two strangers, I felt the presence of God in a way that I have never before experienced. I want you to know this man as I know him. He is my friend - my good, godly, gracious friend. 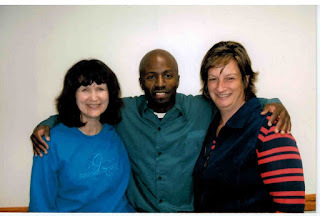 I have spent time with him, Ree Ree and Beverly in the visiting room and I have been able to feel the amazing connection that they have for each other. If every daughter could be adored and nurtured as much as Ree Ree is by her father, this world would be a better place. He treats her with the respect and affection that she deserves. He worries about her as any good dad does. He provides her with spiritual guidance and corrects her when he feels she should make adjustments in her life. He craves more time with her and his heart breaks both with pride and with longing when she accomplishes great things in her life. Terrell also loves his mom with equal adoration. I am a mom who adores her own sons and is treated by them with respect. So I have tremendous appreciation for Terrell's love for his mom. It's a powerful vision to witness him hold her face in his hands and talk to her with intense love, support and respect. He leans on her and he worries about her. When he called me to tell me about Terrance's passing, he was barely understandable. His only concern in those moments was for someone to be with his mom. He was desperate to be sure that she was being taken care of. His dedication to his mother is a complete reflection of her dedication to him. God is clearly present in their relationship and keeping their hearts filled with love. Men everywhere could learn from Terrell how to treat women the## way they deserve to be treated. et anyone who has endured so much pain and darkness. yet carries so much joy. It's not overall happiness that I see in Terrell - I see moments of happiness and those moments come from the few remaining people who are present in his life. He has been stripped of great happiness over the guilt of his past actions and how that impacts his future. His circumstances often rob him of happiness. But he has profound joy and I see that implanted deep in his soul. He is madly in love with God and it shows. His relationship with Jesus is the source of his joy. I do not easily trust. I keep a close circle of friends and I am slow to let people in. If someone had told me that I would have complete trust of a man serving a life sentence for murder, I would have laughed and shrugged it off. But I trust Terrell. I consider him to be family and I consider his family to be mine. I fully believe that God has placed us in each other's paths to learn from each other and to help each other recognize our identities in Christ. I spent Thanksgiving Day today with Terrell. He referred to me as an angel when we prayed together. But he is an angel to me as well. It is his character and commitment to his Savior that show me that God's finest servants are found in the most unlikely places. Forgiveness is a free gift given to every person who believes in God. 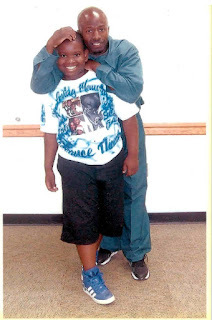 Terrell is as worthy of that free gift as any other Christian. His crime is not who he is. His status as an inmate is not who he is. He is the chosen, forgiven child of a King and he is as worthy of being loved as any faithful follower. Love is not just a gift. It is also an instruction that requires us to let others know that they are not alone. I am proud of my friend and I pray that you will love him with bold, courageous, faithful love. So rather or not you even care about my supernatural release . . I need you... a million more times I will plea Please Forgive Mel!! Please know before you even left I forgave you. Though you were never a father I forgave you. Didn't know how to love me so I loved you. Carried some deep resentment while still loving you. Not understanding why I still choose to forgive you. My only father and son moment was at your funeral. Wondering why you hated me still couldn't stop loving you. Always hoped for a chance to get to know you. Taking away too soon before I could tell you. I can only see the good in you. Dreaming and imagining a father that loved me that much too. Oh, how much I have prayed because of you. Til this day I often think of you. Wishing that you could witness how your son fought through. Thanks to my adoptive Father that makes all things new. From Where Have You Came?